Hailed as the Oscars of the global tourism awards by The Wall Street Journal, the World Travel Awards 2017 named St. Petersburg as the best tourist destination in Europe for the second time since 2015. Today, the former Russian capital has everything that takes it to be a world-class tourism destination. The breathtaking White Nights, winding canals criss-crossing the city, history and heritage surrounding Russian Tsars and Tsarinas, revolutions, war and political intrigue and not to forget a vibrant lifestyle, culture, nightlife and seemingly endless shopping opportunities. Established in 1703 by the famous Tsar Pater the Great, St. Petersburg was the imperial capital of Russia for more than 200 years until the Bolshevik Revolution in 2017. The UK Telegraph says that “As Russia’s ‘Window to Europe,’ St. Petersburg has seen more revolution, war and political intrigue in its 350 years or so than other cities witness in a millennium.” It’s a city ravaged and rebuilt like no other, the last being during the World War II when the city was put under siege by invading German Army for 872 days that resulted in great destruction and loss of human life. Today as one of the most vibrant cities of the world, St. Petersburg resilience in face of adversary is probably the greatest story that one learns about the city on a first visit. St. Petersburg is a coastal city situated on River Neva at the head of Gulf of Finland on the Baltic Sea. It is located on the Eastern most boundary of Russia in Europe. 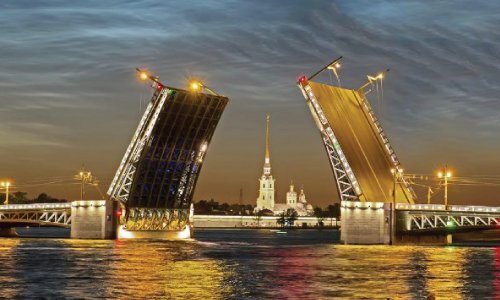 One of the most modern cities in the country, St. Petersburg is hailed as the “Cultural Capital of Russia” and is the second largest city in the country after capital Moscow. Impressive cleanliness, safety, wide road, clean air and friendly people, and vibrant lifestyle, society and culture await to great visitors all round the year! 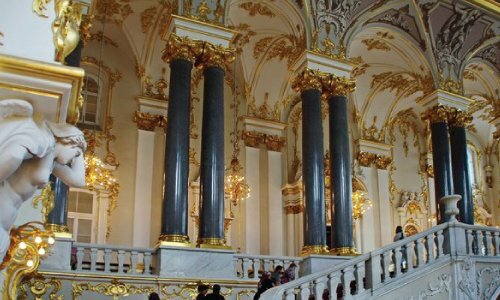 The State hermitage Museum is one of the largest artistic, cultural and historical museums of the world with a collection of more than three million works of arts and artefacts. It boasts of monumental collection of culture and arts of the ancient world, Europe, Russia, the East, archaeological and numismatic collections and paintings by the like of Leonardo da Vinci, Michelangelo and the largest collection of Rembrandt’s paintings outside of the Netherlands. 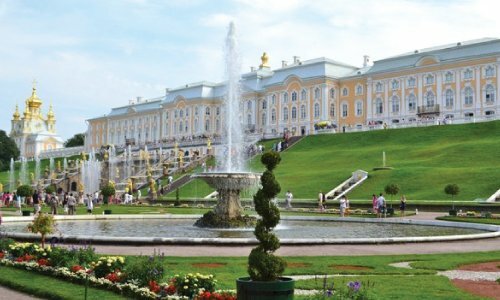 One of the “Seven wonder of Russia”, Peterhof Palace is one of the most famous Palace-Museum complexes not only in Russia but in the world. A former residence of Russian monarchs, it was created by outstanding architects, decorates and sculptors. Virtually destroyed in the World War II, the complex also tells one of the finest stories of restoration in the world. The State Museum Complex Peterhof boasts of more than 8000 exhibits of visual art and of arts and crafts devoted to the history of playing cards. St. Petersburg is probably one of the few most exciting “Year round tourism destination” in the world. The city is already bustling with tourists during the summer months, but it’s the winter months that will give you an even greater adrenaline rush. The fabled White Nights of St. Petersburg is becoming more and more popular with tourist travellers. Besides, the city is bustling with many festivities during this period that tourists find equally exciting. Other exciting escapades are camping in a country side villa in a snow clad surrounding that can be combined with safaris on Reindeer and husky rides! There are tailor made itineraries to suit individual needs. Staying in the snow-clad country-side villas, learning skiing, riding a dog sleigh and not to forget the incredible White Nights that St. Petersburg is famous are some of its key highlights that is bound to leave a traveller mesmerised. River Neva is indisputably one of St. Petersburg’s greatest attractions. 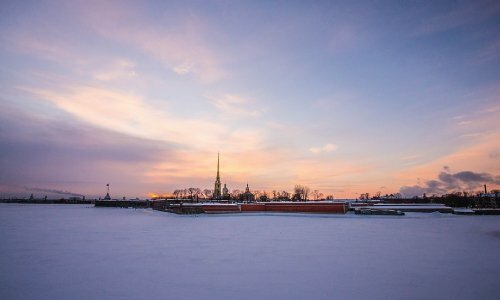 Despite a modest length of barely 75 kms it is the fourth largest river in Europe in terms of average discharge and that makes it navigable for not just large cruise ships that dock in St. Petersburg but also for large cargo ships, and therefore, throws open a host of exciting activities for the tourist travellers. It has scores of bridges that open at night to make way for the large ships. Make sure you are on the right side of Neva to reach your hotel in case the bridge opens to give way to large cargo or cruise ships headed to the Gulf of Finland or the ones coming into the city. Boating or taking a cruise on River Neva is a one of its kind and once in a lifetime experience, especially at night when its century old bridges one after another to make way for the large cargo vessels and cruise ships. The bridge opening is a spectacle of human ingenuity and century-old Russian Engineering as these more than 100 years old bridge slowly open one after another, up to 90 degree, every night at 1 a.m with some of St. Petersburg greatest landmarks like The Hermitage or Peter and Paul Fortress serving as the breathtaking backdrop, beautifully lit under the starry night. 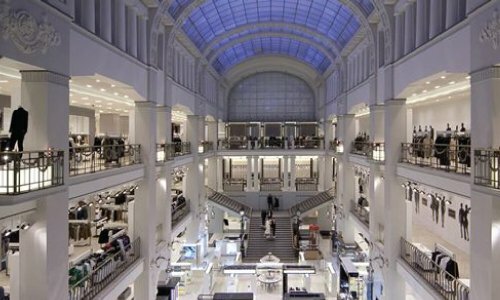 St. Petersburg is a shoppers’ paradise! With some of the world-famous and most iconic malls like Galeria, Gostiny Dvor, among others, as well as bustling market places, you could not have asked for more! However what makes it even more attractive is that what was almost two Rupee to a Ruble in 2014 is almost at parity today! While at the same time the market price of goods and services have remained the same! What it means is whether it is shopping or travel to St. Petersburg, there could not have been a better time than NOW! Shopping in St. Petersburg, both in terms of value and variety is inexhaustible. Besides there are lot attractive discounts to make sure that the market continues ticking. It’s a steal even if you want to travel to St. Petersburg for shopping alone! Besides, what makes Shopping all the more exciting is because most of the market places or malls are either themselves cultural or historical landmarks or are located in their close vicinity! Travel to the Northern Capital could be no less than a gastronomic retreat in itself. Given the sheer size of the country, its diverse people, varied culture and all of it and more making St. Petersburg home, brings an unprecedented array of culinary experiences that one can think of. From authentic Russian cuisines seeped deep in the Russian tradition and age-old recipes to fusion as well as any imaginable variety of the world be it American, Arabian, Asian, European, French or Italian, St. Petersburg serves every palate. 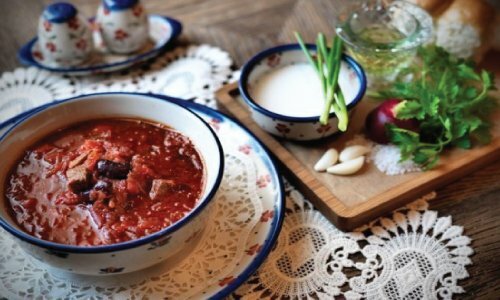 Russian Borscht, soups, its wide variety of delectable pan cakes are some of the popular Russian cuisines that no would like to miss. St. Petersburg is a city that doesn’t sleep. The “Cultural capital of Russia” is not only famous for its grandiose architecture, monuments, history, literature and theatres and operas and ballets, but is also a dream destination for those seeking an exhilarating and high-octane fun, entertainment and nightlife. The chilly nights of St. Petersburg becomes rather hot at night when the city’s hundreds of pubs, cafes and rock, jazz and artistic clubs come alive with pure fun. 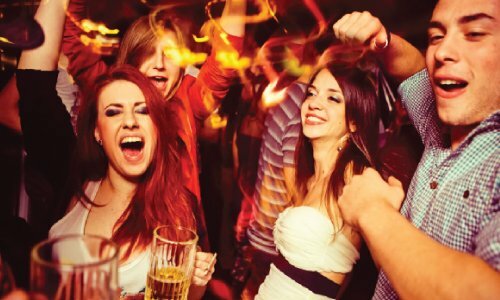 From trendy clubs where one can dance without a care and have drinks of their choice to concerts or a romantic walks along the Neva river-front, St. Petersburg not only knows how to have fun but offers something for all kinds of tastes. 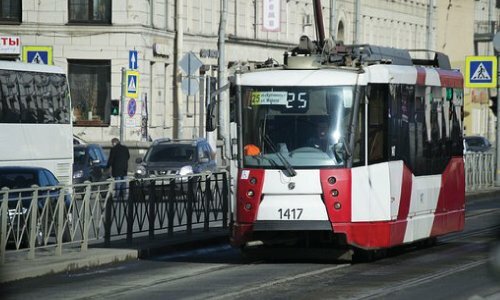 St. Petersburg is a city with a highly developed transportation system. Not only is St. Petersburg well connected with the major gateway cities in the world across Asia, Europe, Middle East and other regions through extensive air services as well as by high speed rail from some key European cities; the city also boasts of a highly developed and efficient public transport system through its city metro and road transport networks as well as a wide range of commercial transport and taxis in the city.